Megan Holmes Bruce Hornsby: Looking at the man in the mirror. 8 p.m. Thursday, November 19. For those who lost track of Bruce Hornsby after his string of '80s hits — admit it, you know all the words to "The Way It Is" and "Mandolin Rain" — you might be surprised to learn that he's been keeping quite busy since that time. After parting ways with long-time backing band the Range, the 54-year-old had a celebrated stint playing keyboards for the Grateful Dead in the early '90s, made guest appearances on albums by Bonnie Raitt and Squeeze (among many others), and continued to tour as a solo artist. But that's not all: Hornsby's mad basketball skills are legendary in musical circles, and he's known for playing a mean game of pickup. With the release of Levitate, Hornsby continues to reveal himself as the master storyteller, and he'll bring an evening's worth of those tales — both old and new — to St. Louis for a show at the Pageant. B-Sides caught up with Hornsby to talk about Levitate and how he figures into the plot of the recent Robin Williams film, World's Greatest Dad. B-Sides: Congrats on the new record! You're certainly keeping busy. 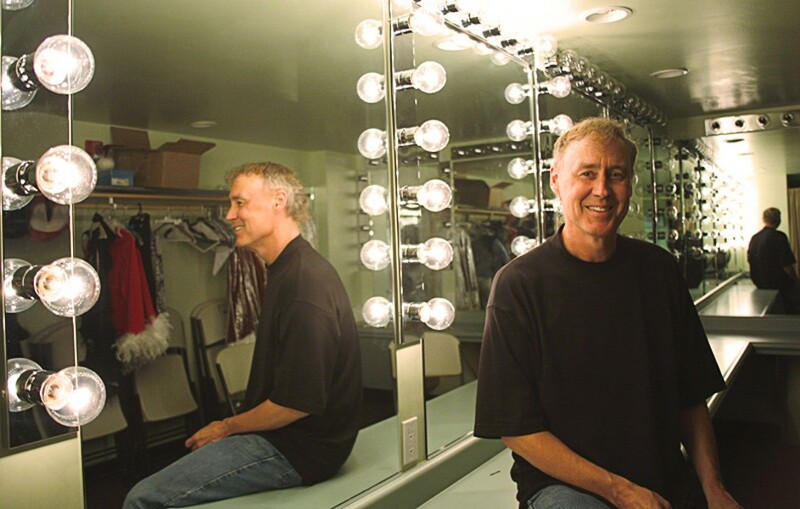 Bruce Hornsby: It's really a busy time. We're grinding away, touring, and I'm doing things with other people. I did a concert last week in Philly with Christian McBride. Do you know who that is? Sure. He played on your jazz record [2007's Camp Meeting]. That's right — exactly right, one of the great jazz bass players. I played with my old friend Shawn Colvin the other night in Miami, and then our band is playing a lot. So yeah, it's quite a busy time. You're playing dulcimer on the current tour. Has the dulcimer always been in your musical arsenal? Well, a little bit. I played hammered dulcimer, which is a completely different instrument, on my first record, on the song "The Red Plains." I first played dulcimer on the Spirit Trail record in '98, [on] a song called "Shadow Hand," which is now in the new Robin Williams movie World's Greatest Dad. You can hear me jam on dulcimer on the silver screen — well, not so much anymore, I think [the movie] lasted about two weeks [in theaters]. I've played [dulcimer] here and there on subsequent records — I know I played it on a tune called "Mirror on the Wall." So, it's not really that new, but since "Prairie Dog Town" [the lead single from Levitate], [the inclusion of dulcimer] is pretty much the song. I can't really play "Prairie Dog Town" on the piano — I could, but it wouldn't be the same rootsy, folky feeling. One interesting thing about the new album is the lack of piano solos. Although you're known for that, their absence didn't stick out to me. It didn't stick out because it's natural. Somebody asked me, "Do you wish you had put on some piano solos?" I said no, it would have felt stuck on to me — it just wasn't part of the process. I had written these songs, and if I'd have created some space, it would have been something I was doing because I thought people expected it. So I just didn't do it — I wrote the songs, arranged them, had the band play them and sang them, period. There are very few solos of any kind on the record. "Invisible" is one of my favorites on the new album — I know that your kids have been a source of inspiration in the past with songs like "Hooray for Tom" and "The Good Life." I'm really going to have to pick this movie up! If you have a sick sense of humor like I do, you'll like it a lot. There's some wild, hilarious moments. There's a great scene of two goth girls fighting over Spirit Trail in the halls of the high school. Fantastic. That alone is worth the price.